Cooling Patch. 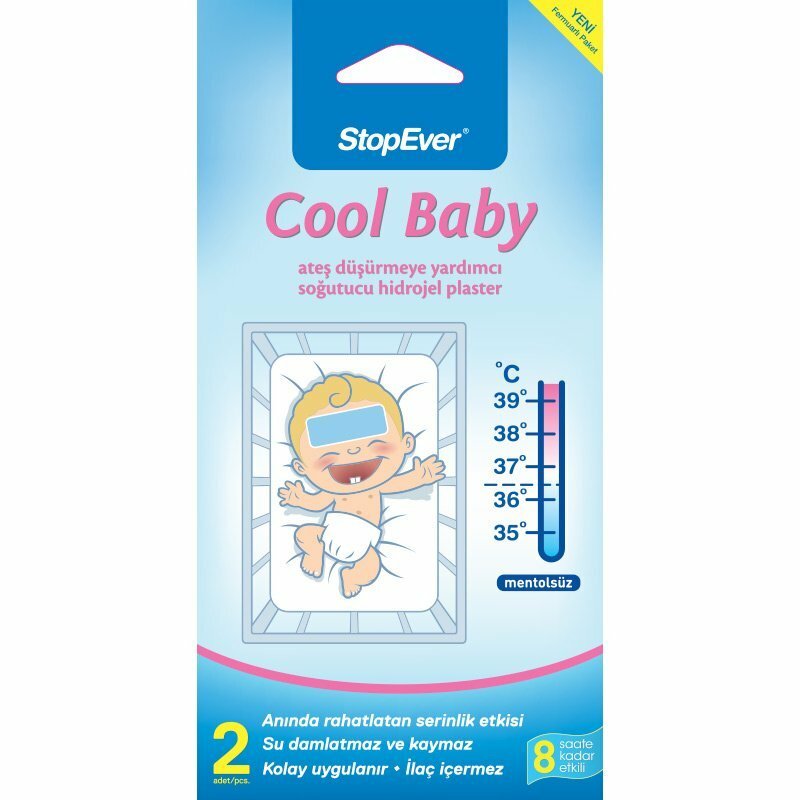 Helps regional cooling for children with fever. The hydrogel contains natural methyl lactate as a coolant. Can be used with medicines. It is effective as a regional coolant. It is recommended as a support to control the fever. Effective up to 8 hours. Remove the protective film on the coolant band and stick the adhesive surface to the skin. Take care to ensure that the surface of the skin is dry and clean before bonding to ensure a permanent hold. Do not stick to hair or hairy skin surface. If you do not use the hydrogel plaster tape for a long time after opening the package, be careful to store it in the specially designed air-tight zippered bag. Store the package in a cool, dry place. For more effective cooling effect, you can store it in the refrigerator, but do not store it in the freezer. Children use should be administered under adult supervision. If any irritation occurs on your skin stop using the product immediately. Composition: Methyl lactate, aqua, glycerin, sorbitol, solvent, polyvinylpyrolidone, preservative and colourant. Package contents: Includes 2 units of 12 cm x 5 cm sized, hydrogel plasters.